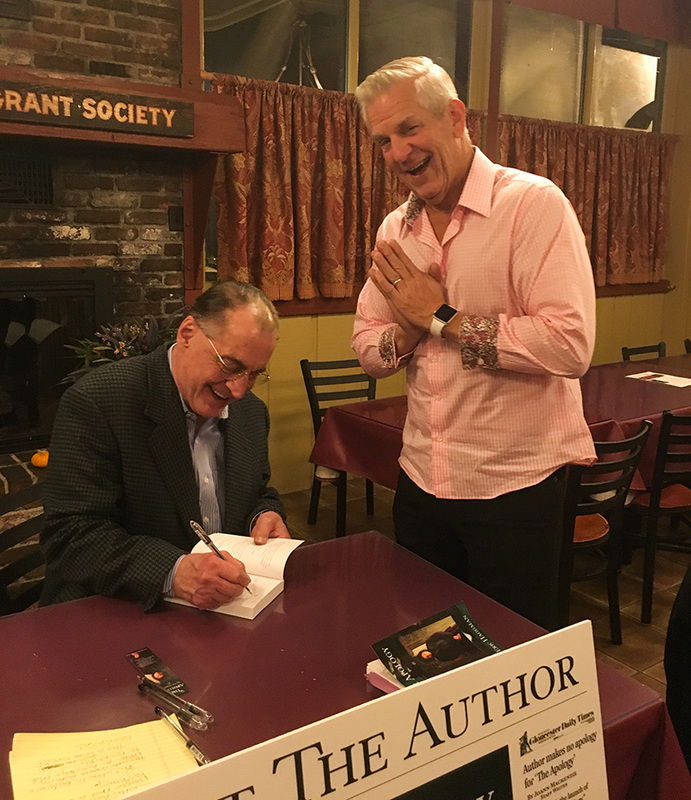 With the help of my muse, Emily, and our good friends, Steve and Trisha Castraberti, owners of Prince Pizzeria in Saugus, MA, we were able to use my first book signing event as a platform to support veterans in our community through the Massachusetts Elks Association. At the event, I was touched by the support we received to help this important organization, with friends, family, fans, and even local celebrity, Lenny Clarke, paying a visit. 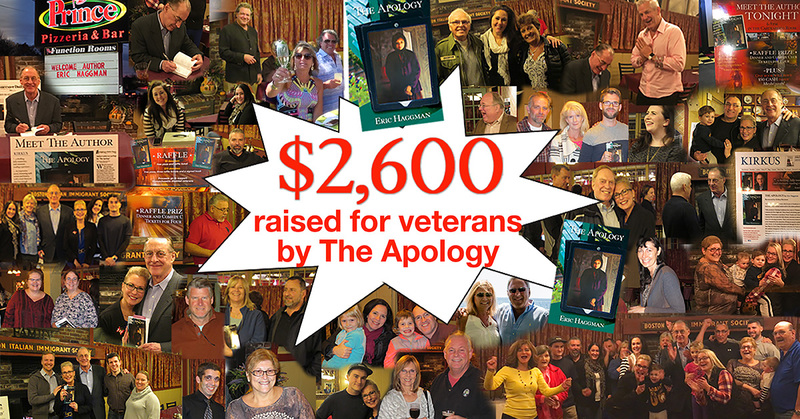 All proceeds from books sold at the event went to support the organization, with the addition of a raffle for a dinner at Prince Pizzeria and a show at Giggle’s Comedy Club, we were able to raise over $2,600! 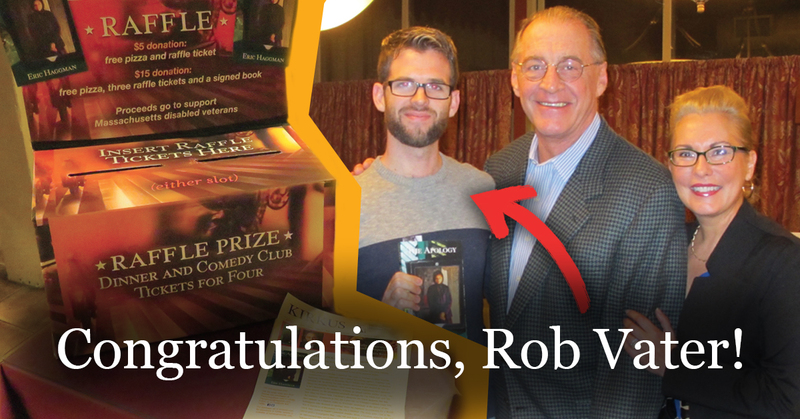 Congratulations to Rob Vater who won the raffle prize. Thank you to all who came out to show your support and to Jerry Bagley and Deborah Pastore DiGirolamo for connecting us with the Massachusetts Elks Association. I encourage all of you to continue to engage with veteran organizations in your community, and give thanks to those who fight to defend our freedom around the world. Check out some of the photos from the book signing and see more of the fun on my Facebook page. For more information on how to support the Massachusetts Elks Association, and to find a chapter in your neighborhood, please visit www.masselks.org.